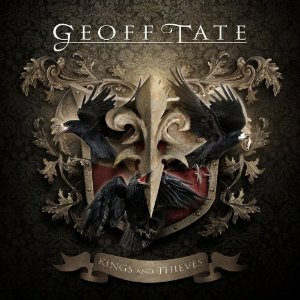 Hall of the Mountain King: Review: Geoff Tate, "Kings and Thieves"
I have hope now that I might one day hear a good Queensryche album again. The latest solo outing from former frontman Geoff Tate makes it pretty clear who has been in control of the band’s creative direction recently. 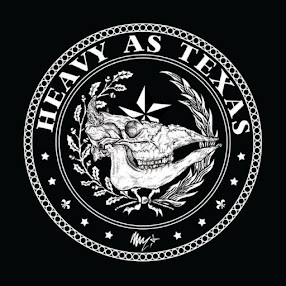 If you’re looking for a sequel to the band’s awful 2011 album Dedicated to Chaos, this is your record. It’s got limp rockers, it’s got banal ballads pretending to be more than they are, it’s got an arrogant air of self-importance, it’s got saxophone, it’s got Tate rapping. In short, it’s an absolute mess — worse than I even imagined that it would be. As has been the case with Queensryche for a while, it seems like Tate is caught up in being artsy and different on Kings and Thieves. There’s nothing wrong with that if you can be artsy and different with a collection of good songs. These tunes, though, are all over the place. There’s no flow to most of them. There’s no power or feeling behind them. The songs, for the most part, plod along with a very similar sound despite the attempt to make them varied and diverse. That’s not to say there aren’t moments on this record, it’s just that none of them really belong to Tate. The main riff of “In the Dirt” has a nice little groove to it, and the organ is a cool touch, but the vocals are lacking the soul and conviction to match it. Though he has an incredible voice, Tate doesn’t have nearly the soul that he believes or wishes that he had, and when he goes for that feel it just doesn’t work. Then, there’s “The Way I Roll,” which starts off with a tough-guy, spoken hip-hop piece talking about how “real” this is. Then we’re treated to Tate rapping badly and unconvincingly about how genuine and badass he is. It’s like listening to a musical mid-life crisis. Tate’s often angry on this record. Songs like “Take a Bullet” and “Evil” — the latter of which is actually one of the better songs mainly because of its chorus — seem to be aimed at his former bandmates and their bad split. I don’t know if that’s the case or if they were written before, but either way, the anger isn’t very convincing or threatening. And that pretty much sums up this record: unthreatening and unconvincing. As much as Tate tried to make it “out there” by throwing different musical styles at the wall, it doesn’t sound like an album where he took many chances. It’s more like musical wallpaper, albeit with a very loud and jarring pattern.